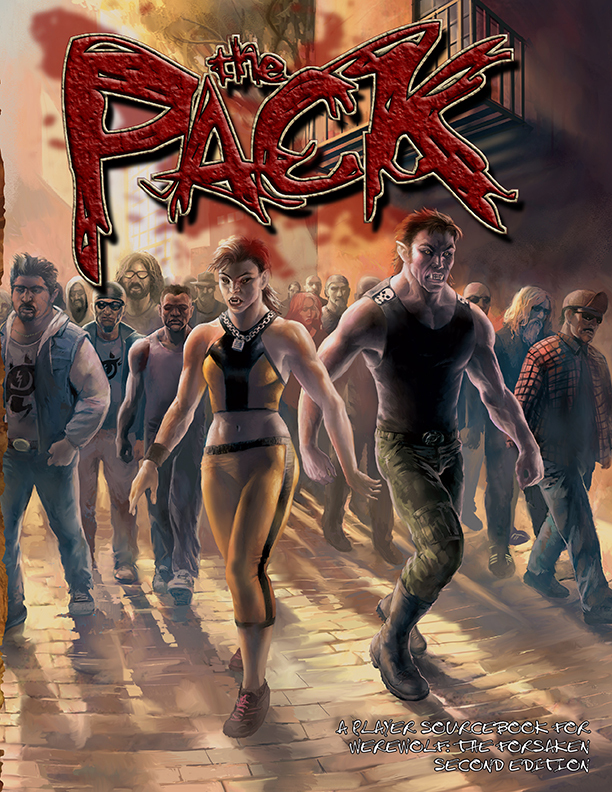 Now Available: The Pack in print! Werewolf: The Forsaken’s The Pack is now available in print on demand via DriveThruRPG! A pack is family and gang and club and cult, but some werewolves go further. Tragedy drives werewolves apart, leaving the Wolf-Blooded to hold the pack together and herd the surviving Uratha in service to the Siskur-Dah. A pack cannot hunt without knowledge of the broader supernatural world, so accepts a mystic into their ranks. Packs form protectorates & fragile alliances, cemented in rituals of honor or arranged marriage. A packmate joins a Lodge, a mystery-cult that teaches dangerous secrets that empower their whole pack on the hunt. Only thing disappointing about this was the low page-count that it got. You’re left craving more. Not every book needs to be huge to cover the subject it is about.